Problem: Build a website withing one month. 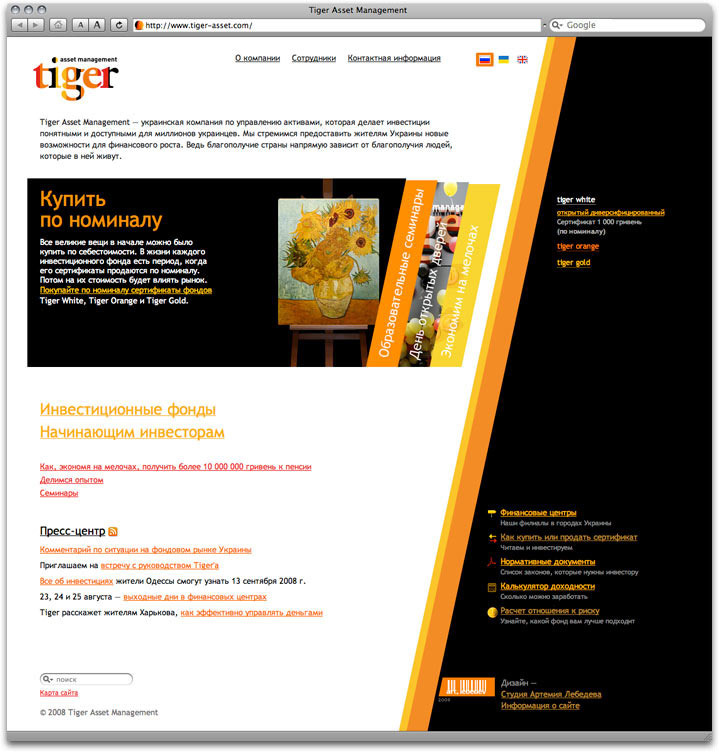 Tiger Asset Management, a Ukrainian company, entered the market in early 2008. 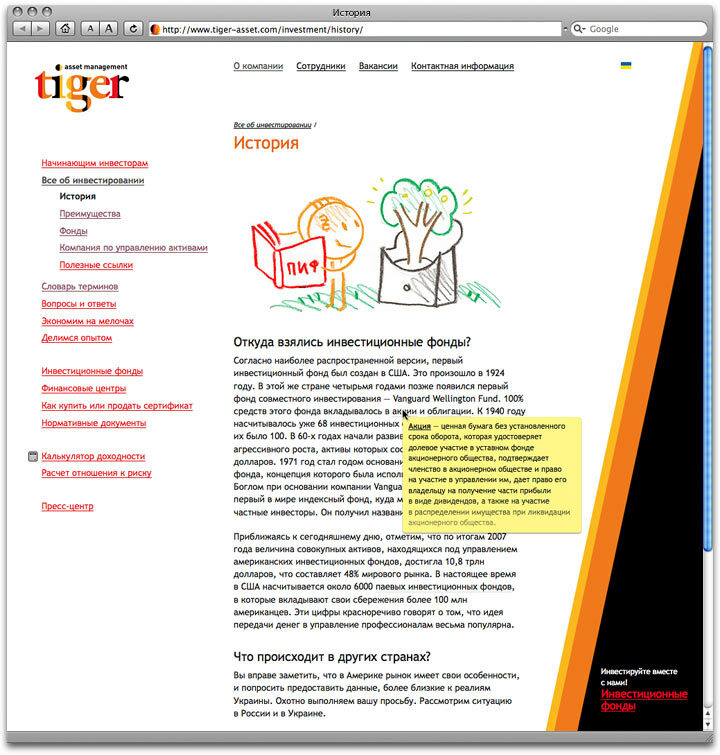 The website provides information useful for both newcomers and experienced investors. There is a glossary and additional helpful info to make it easier for visitors to understand terminology and specifics. 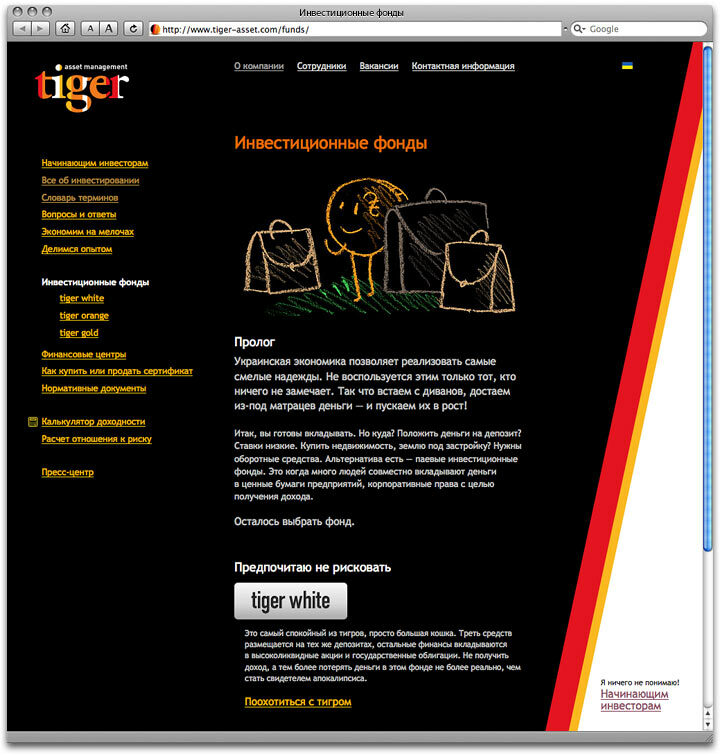 The site has two large sections—the first one teaches new players the basics, while the second is aimed at those who already have the knowledge.